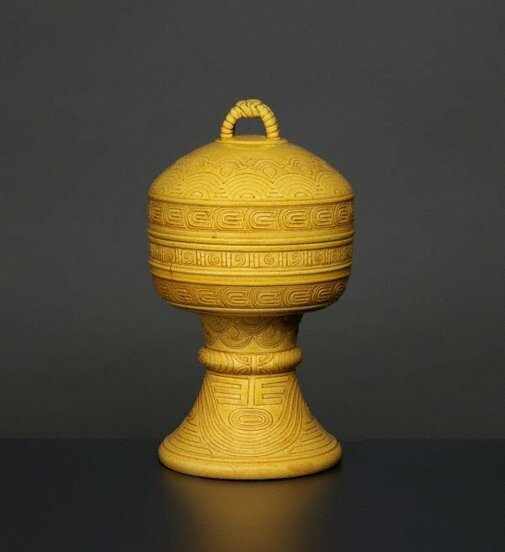 These ceremonial vessels, the design and decoration of which were based on bronzes of the Western Zhou dynasty, were used in the primary sacrifices on the main altars in Beijing. 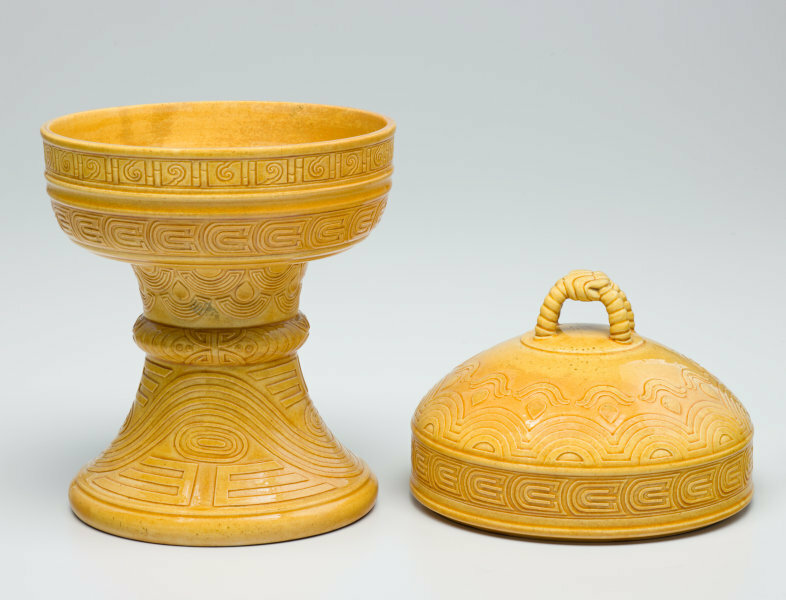 This yellow 'dou' would have been made for use on the Altars of Earth and Agriculture. 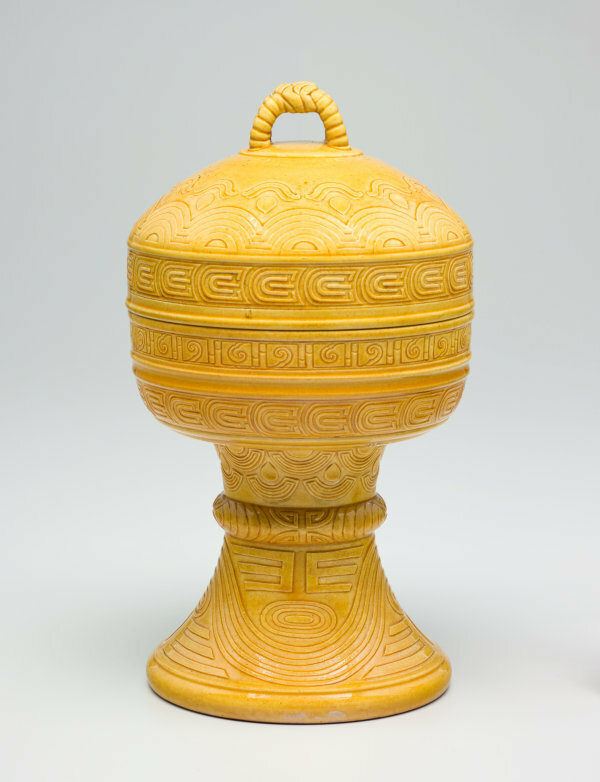 Late Chinese Imperial Porcelain , Sydney, 1980, 6, 11 (illus.). cat.no. 4 See 'Further Information' for text.